If you or a loved one has recently been involved in a car accident in Fort Collins, you may be in the process of negotiating a car accident injury settlement with 21st Century Insurance. 21st Century Insurance insures millions of people, and like any giant insurance company, it makes its profits by shortchanging those that file claims against it. Negotiating a settlement with any insurance company can be difficult, and 21st Century Insurance has experienced and skilled negotiators who may try to find the lowest amount that you will accept, and then offer that to you. There are ways to put yourself in a better negotiating position so that you can see when you’re being fleeced and know when you’re in a position to accept an offer. If you or a loved one has experienced a great deal of pain and suffering after being injured in a wreck, call Zinda Law Group at (800) 863-5312 for a 100% free case evaluation with our Fort Collins car accident attorneys. The first thing you should do is determine the value of your claim. Consider your damages, both current and future. Have you had medical treatment in the past for your injuries? Will you need medical treatment in the future because of your injuries? What damage was done to your property? Other damages to consider include any lost wages or earning potential and any pain and suffering you’ve experienced. It may be difficult to put a number on the pain and suffering you’ve gone through. However, most courts use pain and suffering as a multiplier for the damages. If you feel you’ve suffered greatly, choose a high number between 1 and 10 and multiply your total damages by it. If you feel your suffering was not as severe, choose a lower number. Most of us tend to overestimate the value of our pain and suffering, so err on the side of a lower number when choosing this value. Once you have the value of your claim determined, send this number to 21st Century Insurance. Be sure to include a detailed explanation for how you arrived at the figure provided. It will also be helpful if you have evidence to back up your claim. The next step will be to wait for 21st Century Insurance’s initial offer. This offer will almost certainly not encompass the entirety of your expenses, but will likely be a tempting amount. The question that you will have to ask yourself will be whether a definite, small amount now is worth more to you than a possibly larger amount later. Only you can answer this question, and there are valid reasons for both options. If you decide to reject 21st Century Insurance’s initial offer, be prepared for a lengthy back and forth negotiation process. 21st Century Insurance has skilled negotiators, and the company depends on those negotiators to make sure that enough insurance claimants back down to keep profits high. 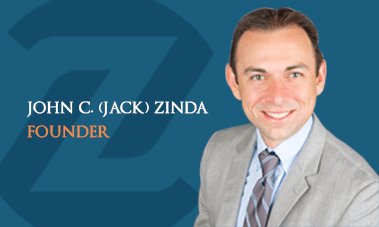 At Zinda Law Group, our car accident attorneys have helped thousands of crash victims get their lives back on track after suffering an injury. We have the knowledge and resources necessary to help you seek maximum compensation for medical bills, lost income, property damage, pain and suffering, and all the other ways your injury has cost you.